Before I went away, I wrote a blog post detailing what outfits and accessories I was packing for ten days in Nerja. With that, I included my recommended travel essentials and tips to make for easier holiday packing. Subsequently, I wanted to share my favourite of those holiday outfits, which were photographed in some stunning locations. I discovered this divine blue door on El Balcon de Europa, when I was in Nerja last year. It’s too beautiful not to use as the backdrop for at least one holiday outfit, so I used it to show off the brightest of my dresses. This *zig zag striped maxi dress is lightweight and easy to wear and I accessorised it with *citrus yellow espadrilles and my *Pomfret Slouchy Pouch. 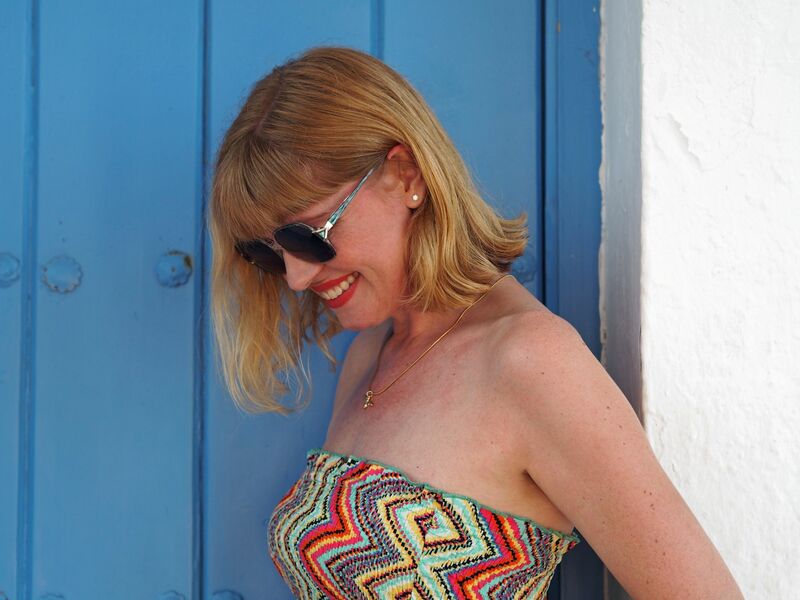 The fabulous *retro turquoise and gold sunglasses are from Retrospecced. 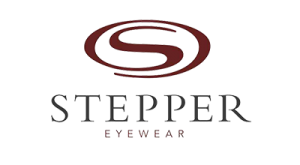 This is a company that refurbishes vintage and used designer spectacle frames then donates a percentage of their profits to charity. Consequently, every pair of glasses and sunglasses they sell is unique. The statue of King Alfonso XII, also on El Balcon de Europa, is something of an icon. He is very popular for photographs and in fact, I took a picture with him last year him which I posted on Instagram. 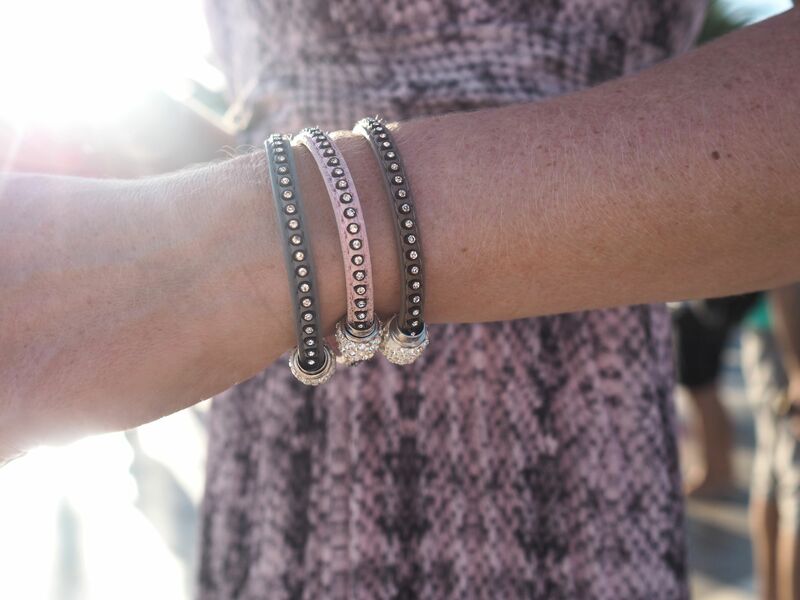 This year I’m wearing a *pink and grey snakeprint maxi dress from the latest collection at Kaleidoscope. It’s fully lined, so I’ll wear it in autumn with a chunky cardigan or denim jacket. With it, I wore three crystal-set wrap bracelets, also from Lizzy O. Don’t they look pretty stacked together and sparkling in the sunshine? This red dress with contrast hemp is another of my favourite holiday outfits, more of which is in my previous post. As well taking enough holiday outfits for ten days, I took a lot of cover-ups. 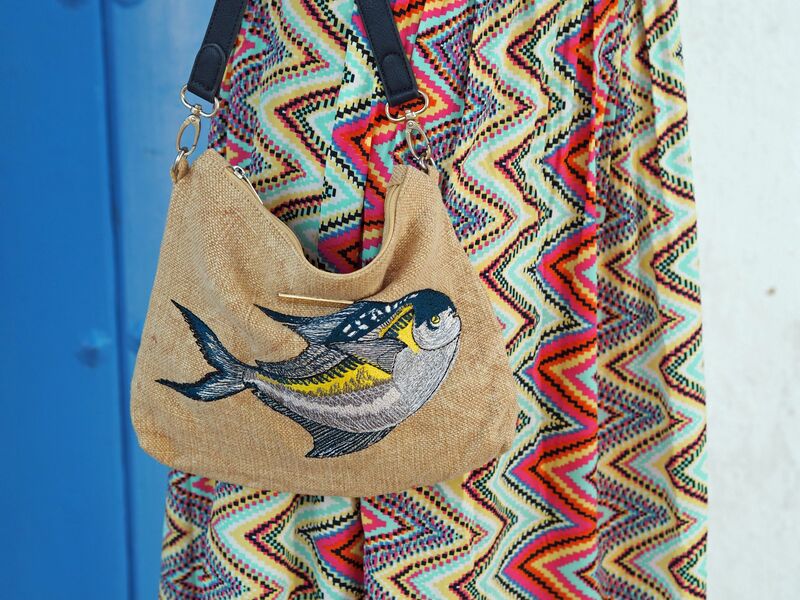 I think kaftans and beach dresses are invaluable to wear to breakfast and lunch as well as on the beach. I adore this pretty *white Iconique Ronda poncho. The lace detailing is exquisite and it’s lightweight, cool and comfortable. It’s from UK Swimwear, which stocks a wonderful array of beachwear-particularly useful once the shops move to Autumn wear. Another *white embroidered dress, this time with red and blue detailing. Again, in common with the previous dress, it’s loose enough to be cool and comfortable, yet has enough structure to be stylish. This *blue Seychelles bikini and the matching *Seychelles kaftan, are by Fantasie. Although the gorgeous azure floral print is striking, it was the crossover straps that caught my eye. This red leopard print bikini is very flattering and super-stylish and I featured it in the blog post before last. 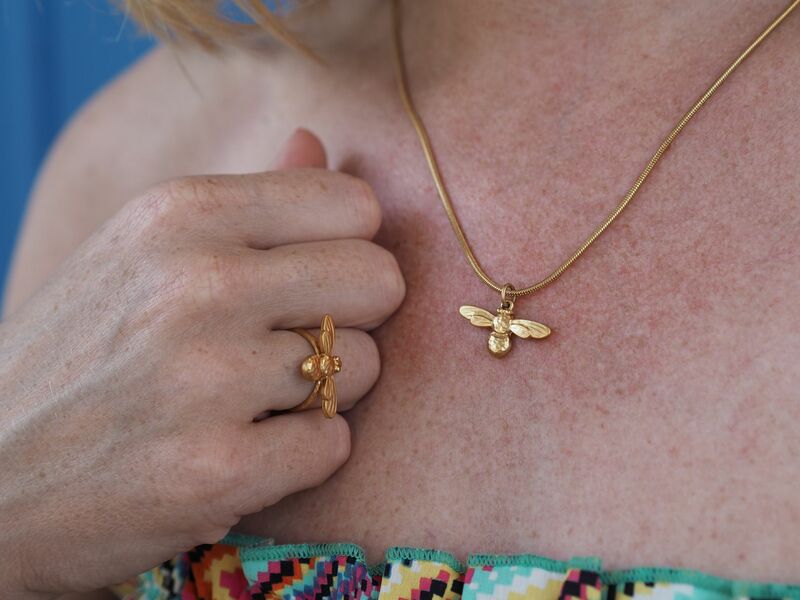 Also in that post, are lots of tips for feeling beach ready at any age. 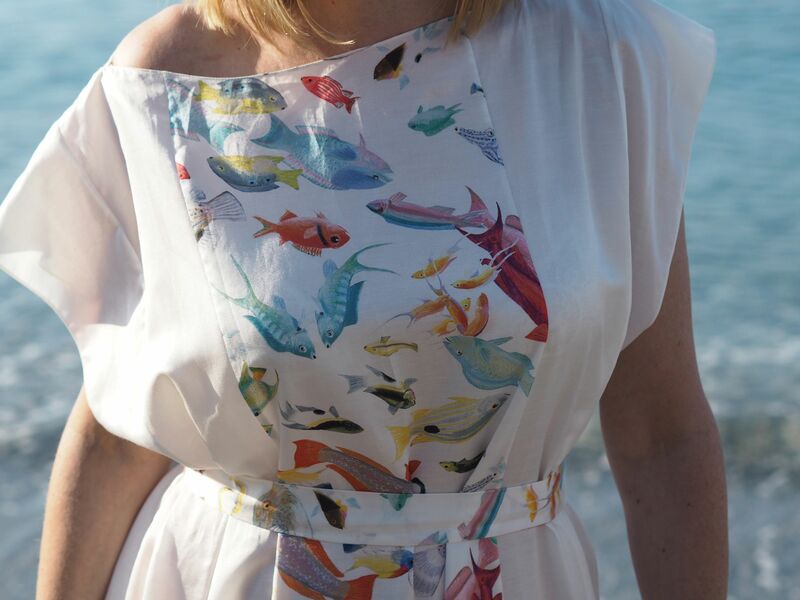 My final holiday outfit is the full-length *Halona fish print beach caftan by Rose Fulbright. It was the glorious printed silk that caught my eye along with the wide neckline. 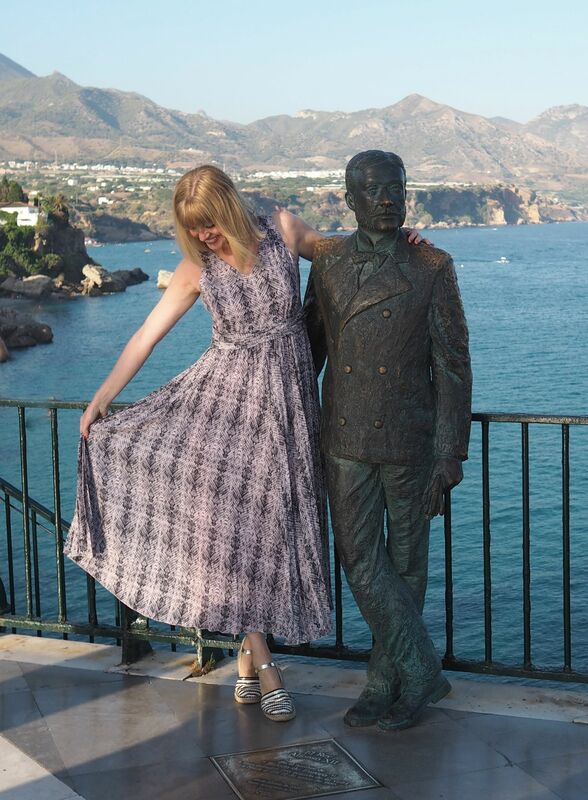 In fact, I wore this to evening dinner with the yellow espadrilles as well as on the beach. I like to accessorise my holiday outfits with something appropriate, so what could be better than a lobster? 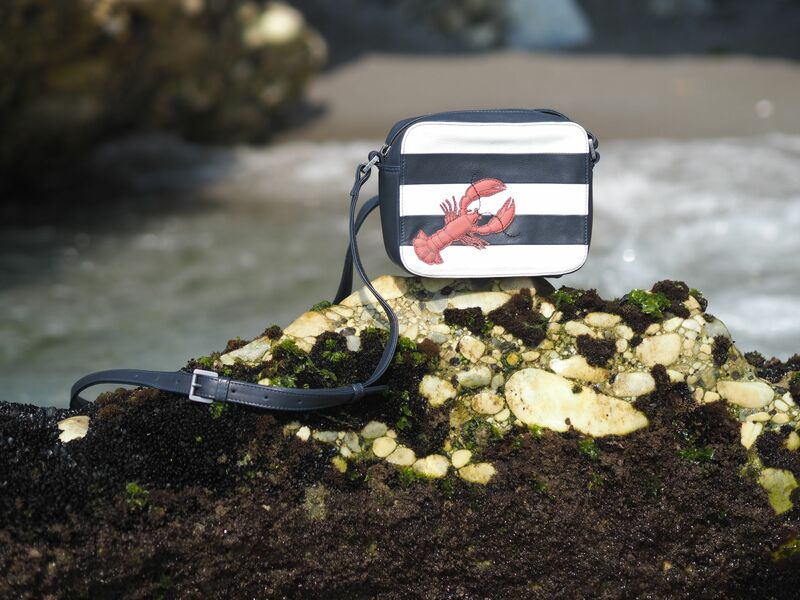 This *navy and white stripe leather cross body bag, is beautifully made and is the perfect size for my camera. The photographs were taken by my daughter Poppy Johnston and it was wonderful to be surrounded by such stunning locations. 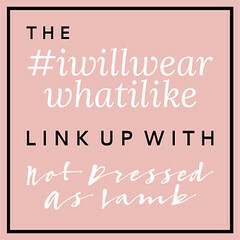 Later this week I’ll be linking this post to I Will Wear What I Like, Brilliant Blog Posts and The Saturday Share. Thank you for reading and for supporting those brands that support my blog. You own some fabulous dresses! Wow. Dresses are always fantastic to wear. Summer or winter, I love them. Hi loved your yellow lace dress so much that I have just bought it and it looks great on. Love your clothes.